We'll take an extra $30 off - just for you. Select sale items get an additional 30% off. Plus Free Shipping - just sign up for our emails. Up to 50% off on-trend styles. Save more on clearance items. 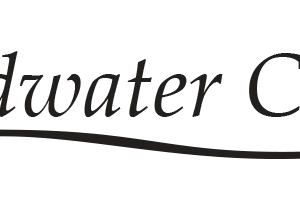 Shop the Coldwater Creek Outlet! We need to get rid of it, so you get to save. Save on the newest clothes with the lowest prices. Perfect for a busy lifestyle. Coldwater Creek was founded by Dennis and Ann Pence near Northern Idaho in 1984. The company specialized in selling women’s clothing. Now the Coldwater Creek specializes in selling women’s clothing and home decor. In addition to online business, they have six stores spread across the United States. The business was started on the tiny resort town of Sandpoint. At the time, the founders were really strapped for cash. They printed their catalogs in one color. It was not until one year later that they were able to print out a multi-colored catalog. The business really picked up in the 1990s. This was because of the company’s commitment to excellence and exemplary customer service. In 1991, they made a profit of about 1.6 million dollars. In 2007, the company collected revenue of slightly more than 1 billion dollars. Due to poor management, the company filed for bankruptcy in 2014. However, this was not the end of Coldwater Creek. The new owners, Sycamore Partners, purchased the company and set about rebuilding it. They initially relaunched it as an online-only retail business. Now, due to the rapid growth it has experienced, they have begun to re-open their stores around America. Visit the company’s website and add the items you want to your shopping bag. Once you’re satisfied with your shopping, proceed to checkout. At the checkout section, you will be prompted to confirm your purchase. You will also have to specify the type of shipping you want. After that, the website will calculate your grand total. At the end of the calculation, you will see an empty box prompting you to key in your coupon code. Key in your coupon code and click on “Apply”. Your coupon code will apply.Proceed to enter your billing information and confirm your order. You can also take advantage of the company’s email service to get extra discounts. All you have to do is subscribe. Email customers are sometimes treated to incredible discounts and deals. In addition, you can explore the sale section of the website. All the items on this section are sold at a discount. You can also call Coldwater Creek via their phone number (888-678-5576). You can call on any day between 8 am to 11 pm. You can also email customerservice@coldwaterdirect.com with any queries. Coldwater Creek asserts that you can return any item if you are, for any reason, not satisfied with the purchase. However, you have to ensure that the item is unused, unwashed and unworn. The company gives you a window of 90 days after the date of purchase to return the item. The company does not refund shipping and handling fees. The company provides that 6.95 dollars will be deducted on your refund. For a refund to be successful you have to fill out the return form that is shipped along with your package. After that repackage the item and send it back to Coldwater Creek along with the return from.